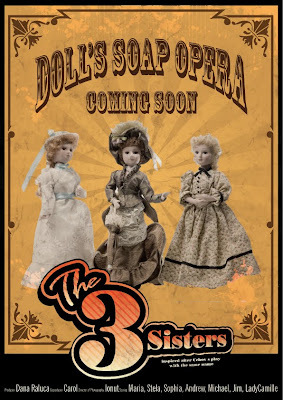 The first soap opera for dolls - "Three sisters" - inspired after Cehov's play with the same name. Greetings! Are the 3 sisters named, Olga, Irina and Maria? Hello,How can i follow your blog because i like your minis so much,miniregards from Spain,Sonia. Hello, I glad you like my minis. I have now the option to follow my blog. I like your minis too. Congrats for your blog! now we are in touch.